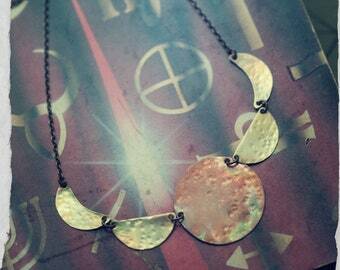 Large hoop earrings, sleepers in brass with ombre oxidation, skinny hoops available in different sizes. 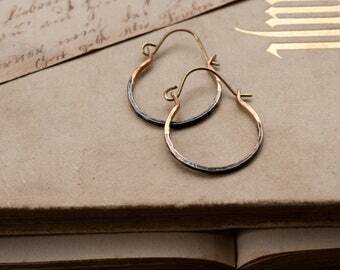 A staple item for any jewelry lover, these hammered rustic ombre hoops in brass are easy to wear and lightweight. 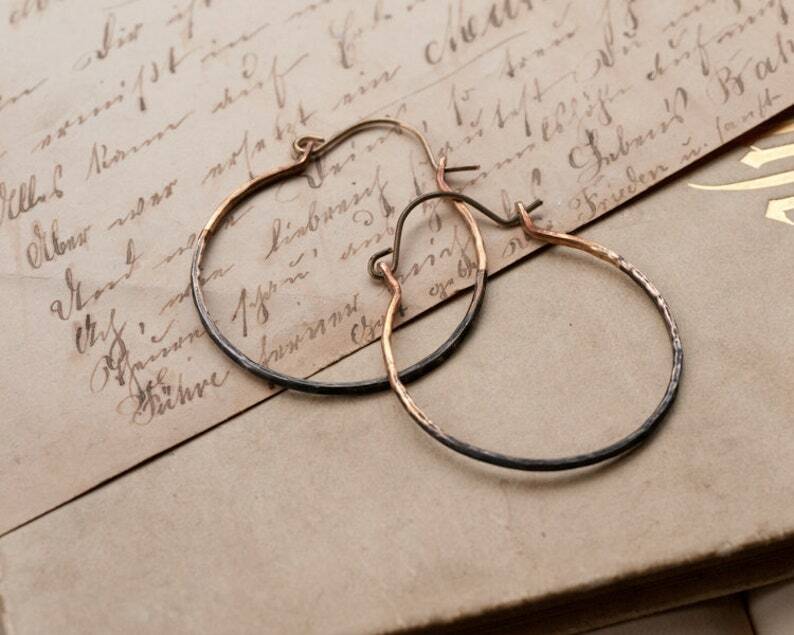 Unhook the earrings by gently pulling the main body of the earring apart, this way the ear wire itself is not deformed and the closure retains tension. 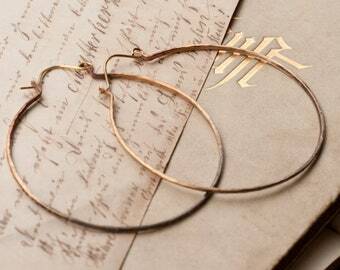 This listing is for one pair of medium hoops, for large, small and sterling silver options please check out my Etsy store. 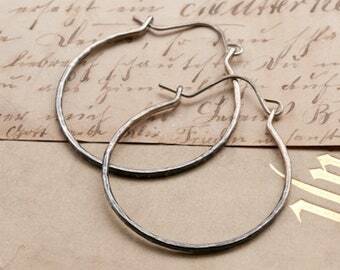 Sterling silver rustic hoop earrings, skinny hoops with ombre patina, easy to wear sleepers. 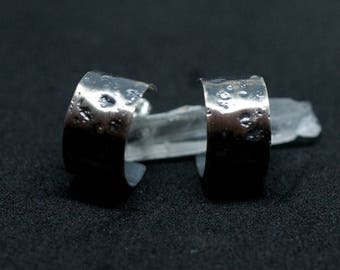 Rustic sterling silver hoop earrings, hoop studs, textured and oxidised, industrial hoop earrings, blackened silver, Husk earrings. 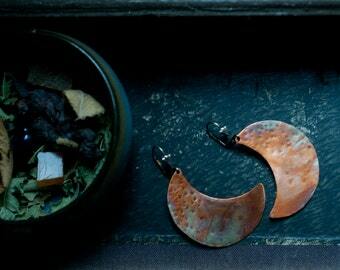 Diese Ohrringe sind so fein und geschmackvoll. Obwohl sie nicht auffällig sind, überzeugen die Besonderheit.